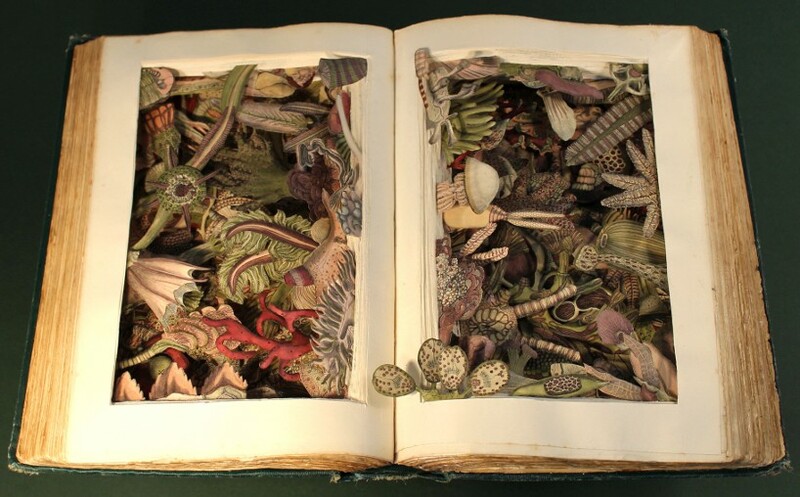 Kerry Miller’s intricate book sculptures are works of painstaking effort and unbelievable beauty. Looking like a cross between Faberge egg creations mixed with the most precious of books, her pieces turn the fairly banal texts she uses as a base, into something wondrous. 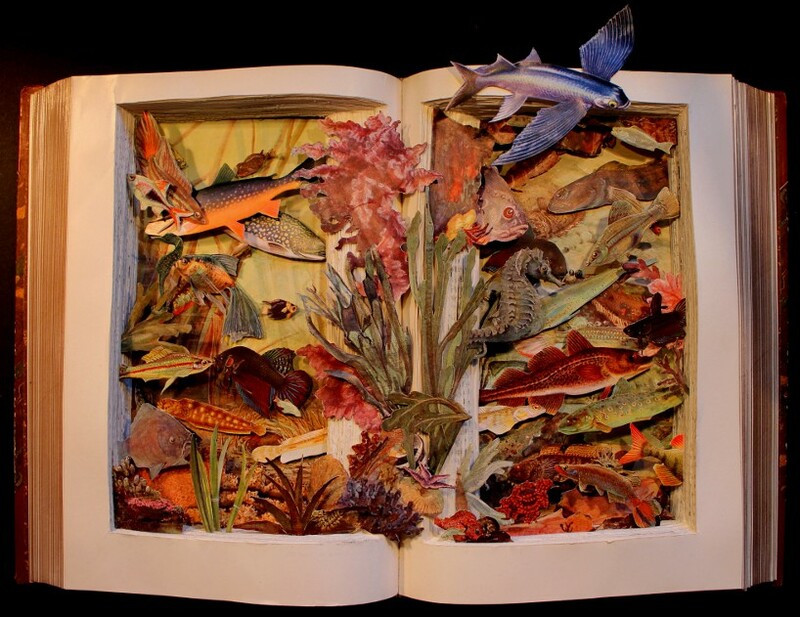 Miller’s works take a variety of styles, although each one incorporates the original book as its ‘frame’, providing a focus for the viewer as they delve into the marvellous and ‘wonderland-like’ creations that Miller creates. Antique books are Miller’s texts of choice, and these have the added advantage of frequently containing – or being written about- the most bizarre of topics: from home-made medicine techniques, to Victorian recipe books containing the most bizarre of recipes.